Kevin Hearne dives back into The Iron Druid Chronicles with avengeance as he rekindles the magic of the series with Shattered. New characters, new creatures and new gods bring back the mystery and fun as each are explored and unleashed. Click here to read our full review. Shattered by Kevin Hearne is out today. This is the seventh book in The Iron Druid Chronicles. For more information, ordering links and excerpts, you can check out the official product page. 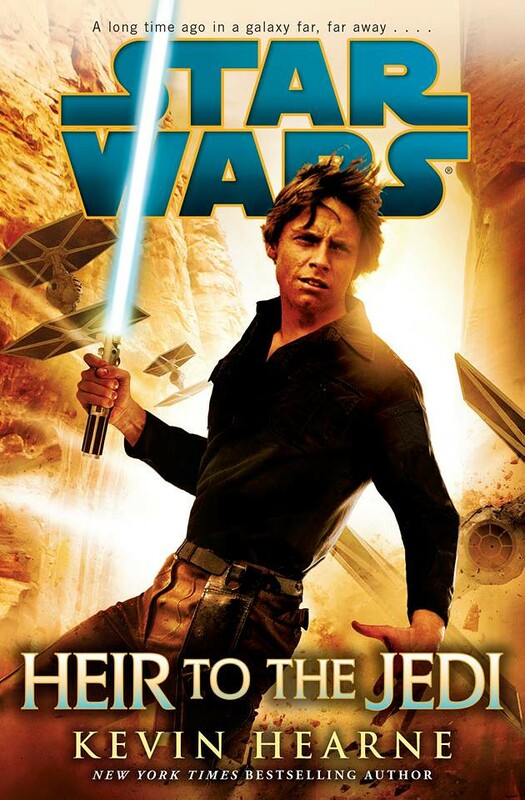 Amazon UK has a new blurb listed for Kevin Hearne’s upcoming Star Wars novel Heir to the Jedi. The Galactic Civil War rages on after the destruction of the Death Star and Luke Skywalker struggles to learn more about the Force without the aid of Obi-Wan Kenobi-or indeed without any aid at all. But the few memories he has of Obi-Wan’s instruction point the way to a stronger control of the Force, and he is encouraged to pursue it by a new friend in the Alliance. When Luke, R2-D2 and his new ally are tasked with liberating a valuable asset from the Empire and delivering her to a safe planet where she can aid the Alliance, their journey across the galaxy is fraught with peril-and opportunities for Luke to discover the mysteries of the Force. Here’s the official press release regarding the Star Wars books relaunch.